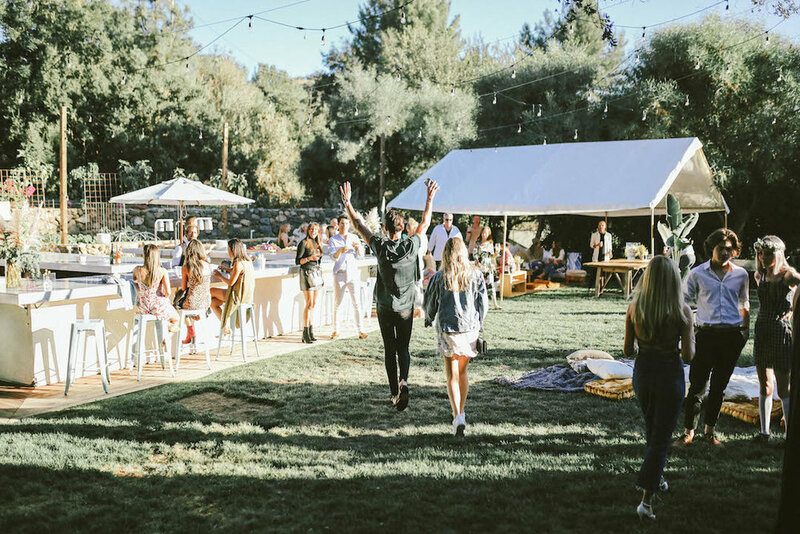 In the late afternoon of Saturday September 29th, guests gathered at the beautiful Calamigos Ranch in Malibu to celebrate the official launch of This Girl Can Run The World. 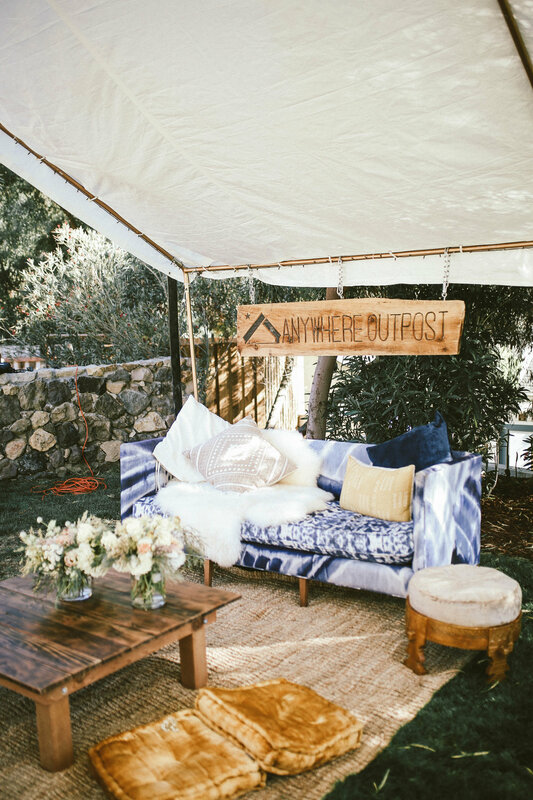 The tranquil outdoor space was transformed into a luxurious rustic retreat complete with beautiful tents supplied by Therese Cresalia’s luxury camping accommodations company, Anywhere Outpost. Upon arrival, guests were greeted with champagne, white wine spritzers, mango and peach sangria as well as a customized thisGirl raspberry and blood-orange red sangria. Suja Juice supplied cold-pressed juices and kombuchas and guests nibbled on elaborate charcuterie boards and crudités platters. 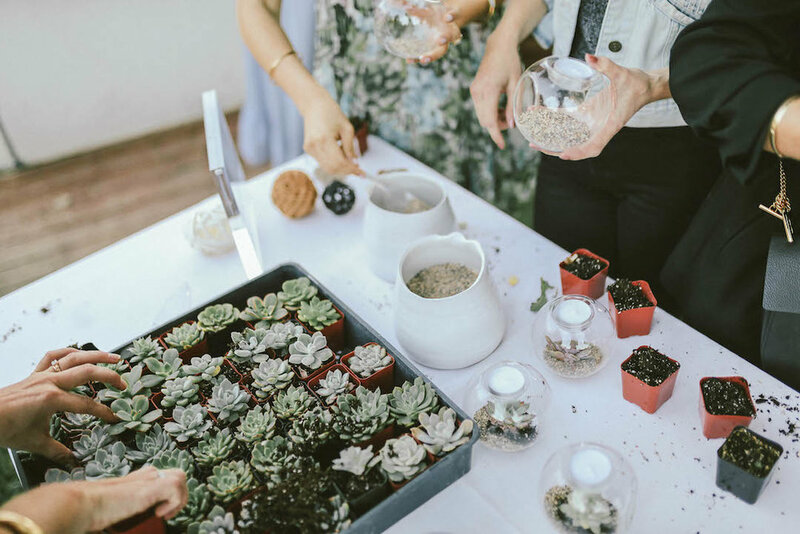 Guests mingled and relaxed in the several thisGirl lounges in-between visits to a DIY flower crown station, which was graciously supplied by NuLeaf Designs as well as a “plant an intention” station where guests were able to plant a miniature succulent that they got to take home. There were also tarot card readings by Rubi Rios as well as a crystal-infused essential oil station by Rosie Gomez-Cervantes, where guests were able to sample different calming and energizing blends. For dinner, a wood-burning pizza oven churned out delectable and unique pizzas (including vegan and gluten-free options). As the evening neared a close, a photo-worthy s’mores bar featuring several kinds of chocolates and flavored marshmallows was set up for guests to roast their marshmallows on sticks around several large fire pits. Guest cozied up around the fire pits, resting on sheepskin rugs and moroccan pillows as Kitty Schur, the founder of This Girl Can Run The World, led a fireside chat where she spoke about what compelled her to create This Girl Can Run The World. The event concluded with Kitty encouraging the event’s attendees to share a recent achievement they were proud of or something that they were capable of that they’d like others to know. Guests who came up to the mic walked away with a stunning piece of vintage-inspired jewelry graciously donated by Jennifer Meng with New Mermaid. The evening was captured by Brooke McGee with Truly.Brooke photography.